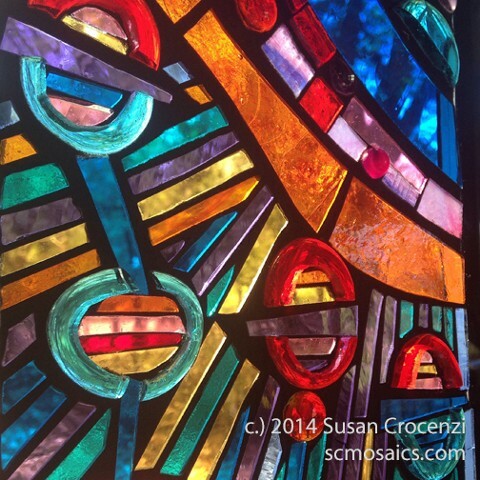 Residential stained glass on glass mosaic window panels. Client salvaged stained glass from old buildings on property for use in their new construction. Please drop me a message if you'd like to discuss commissioning me for something like this in your home or business.